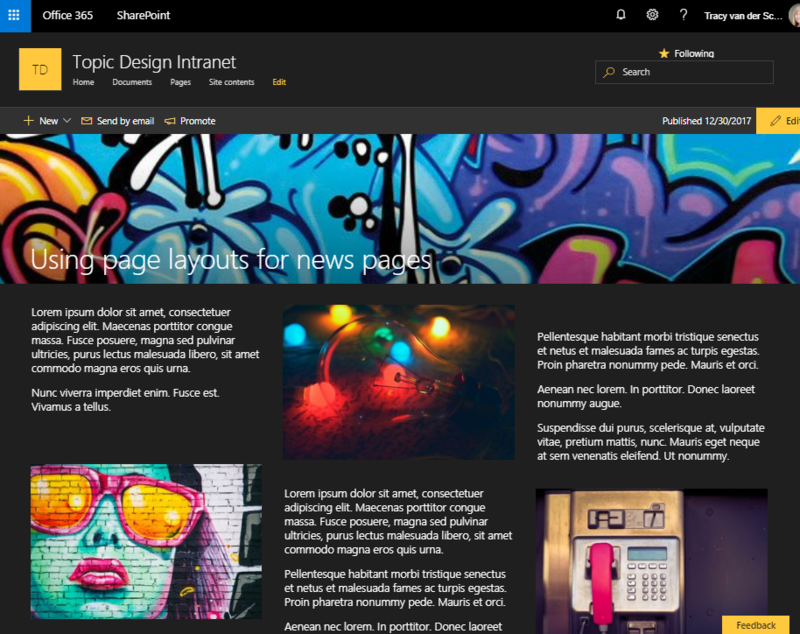 #Microsoft365 #Office365 – The new #SharePoint Communication site templates are beautiful and responsive, but it requires a bit of planning / design to get your layout just perfect. Adding all the web parts below each other is boring to say the least and does not present well. Imagine your newspaper did not use columns and simply had all the text and pictures in one column below each other? Yup – I think I made my point. Using layouts is pretty easy in the new modern SharePoint sites. In my example I’ve used 3 equal columns and was able to add People, Quick Links and Link web parts next to each other. When in mobile view these web parts will wrap underneath each other. See how you can better utilize the space on your page? When creating news article pages it’s also important to look at your layout. Text below each other is boring (as said before). By adding 3 columns you can then place text and image web parts in a magazine-like fashion. Looks much better right? And yes, yes, I was just having fun with the dark template and crazy colours – I’m not saying you should do that with your site. Always remember that dark backgrounds reads more difficult and tends to look a bit busy. Take a look at magazines, websites etc. 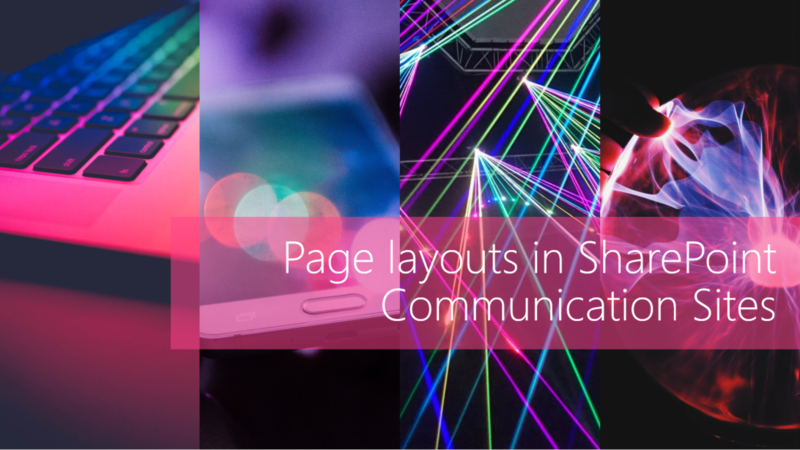 to get inspiration for changing the layouts of your pages.